Sometimes you read a book and discover that there is no one worth rooting for in the tome. None of the characters are even all that likable. Such is the case with Making It. Audrey is a fortysomething woman caught in the throes of a staid, predictable life. She has spent twenty-two years as the breadwinner for her husband, teenage son, and herself, working as an ad woman for a New York agency. Due to a computer snafu, Audrey believes she has been fired. She spends the ensuing hours imagining what her life will become, what will become of her son and husband as well, all while hosting her husband’s birthday party. But then it turns out she wasn’t fired after all. So all of that ruminating – all of those “this is what I will change” thoughts – for nothing, because Audrey proceeds to change absolutely zilch about her life. She heads right back to work, makes no effort to spend more time with her son, and falls back into the same routines with her husband. And so it would go for her, except that her firm is sold to a larger one, and her predictable life finally begins to change. Audrey soon begins working closely with her new Indian boss, the exotic Kabal Prakesh, to whom she finds herself quite attracted. Perhaps Audrey’s life will take an even more interesting turn. Unfortunately, by the time this happens, you might not care. Audrey seemingly is incapable of learning anything, and is apparently devoid of any self-introspection whatsoever. What’s worse is that she knows she needs to make changes in her life; she sees that she should spend more time with her son, who is about to head off to college. 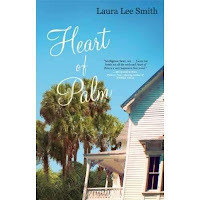 She realizes that she is not a good wife to her husband. But yet all of that self-knowledge is very much on the surface. It’s as if she thinks she deserves commendation for recognizing her foibles, even if she refuses to do anything about them. Kabal supposedly represents the Audrey that Could Have Been. Will she give in and sleep with him? What if she does? Will anything change in her life? We know her well enough at this point to predict that nothing would. In fact, her dithering about whether she should or should not is frustrating, to say the least. It isn’t as if her husband is any more likable. He’s just as dull and uninspiring as she is. If we are meant to feel sympathy for Kabal, with his arranged marriage wife back in India, that doesn’t happen either. Kabal is a bit of a rhymes-with-tick. He knows it, Audrey knows it, and everyone associated with him knows it. Like Audrey, he doesn’t seem to be in any hurry to improve upon his weaknesses. So why read this book? Because it’s good. 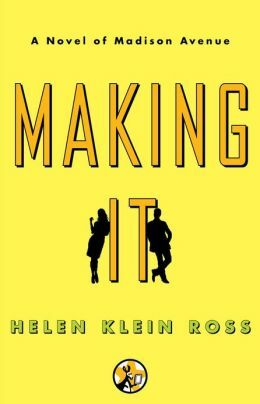 Helen Klein Ross knows how to tell a story, and if her characters are not quite people you would want as friends, it makes her story all the more believable. Audrey certainly is not too good to be true, and her perfect-on-the-outside life is relatable. How many of us don’t have problems we know need addressing, but we are too content with how predictable our lives are to change anything? Yep. I thought so. Me too.